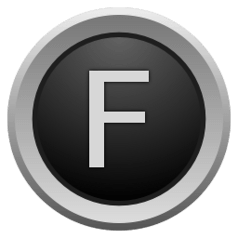 FocusWriter, a simple, feature-riched, and distraction-free word processor, has now reached the 1.6.0 release with some great enhancements and fixes. FocusWriter 1.6.0 adds 4 new background themes, headings (h1 to h6) format, ODT Flat XML files and high DPI displays support. Option to always show scrollbar, topbar, bottom bar. The official Ubuntu PPA has been updated with Ubuntu 16.04 and Ubuntu 16.10 support, the new release also available for Ubuntu 14.04 and derivatives. 2. To upgrade from a previous release, just launch Software Updater and install the updates after checking for updates. For those who don’t want to add PPA, grab the latest .deb package directly from the PPA archive. Full-screen writing program FocusWriter updated to version 1.5.0 with many exciting new features and improvements. The latest release 1.5.0 was released one hour ago on June 17th, 2014 with following new features and improvements. Works on Ubuntu 14.10, Ubuntu 14.04, Ubuntu 13.10, Ubuntu 12.04 and their derivatives. 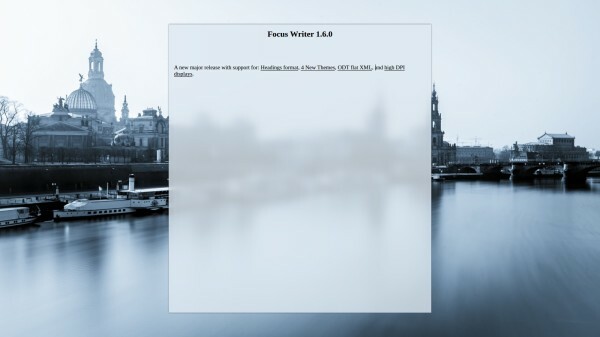 For Othe Linux, Window, and Mac OS, go to FocusWriter website. FocusWriter is a fullscreen word processor. It has a simple, distraction-free writing environment, it utilizes a hide-away interface that you access by moving your mouse to the edges of the screen, allowing the program to have a familiar look and feel to it while still getting out of the way so that you can immerse yourself in your work. It’s available for Linux, Windows, and Mac OS X, and has been translated into many different languages. If you’re on Ubuntu 13.10 Saucy, open Ubuntu Software Center and search for and install focuswriter from the universe repository. Enjoy!